Save 15% on your moving and storage services! All of us here at SMARTBOX Portable Storage would like to thank our military personnel for their service and sacrifice for our great country. It is because of you that we are afforded our personal freedoms and liberties. As a thank you for your service, we offer 15% discounts to all our military storage customers. If you need military moving and storage services in MD, VA, or DC, call SMARTBOX today at 301-683-6111 and be sure to mention the promo code BANMIL! If you are being relocated or stationed to another area in the continental United States, SMARTBOX can help you make your move simple by offering military moving and storage services at a great price. We can deliver portable storage units to your current location and give you all the time you need filling them up-you can take up to a month packing and preparing for your move-or we can help pack and load your belongings if you’re pressed for time. Once everything is packed up, we can either deliver your boxes to your new location in up to 88 locations across the country or store anything you don’t need to bring with you at our secure, temperature-controlled storage facility. To help make your military moving and storage services even more convenient, SMARTBOX also offers professional moving services, including packing, loading, delivering, and unloading, for all of our customers. We can also bring all the moving supplies you need directly to your doorstep, so you don’t have to worry about a thing. We have everything from cardboard boxes and bubble wrap to packing paper and tape and everything in between. At SMARTBOX, it’s our goal to make sure you want for nothing during your move! 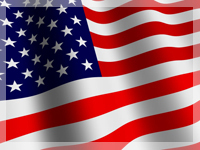 SMARTBOX is proud to be an American company providing discounted service to our military. To all of our military personnel in the Northern Virginia, Maryland, and Washington, DC area, we extend our sincerest gratitude for your service to our great country, and we’ll do our part to make moving and storing easier. When you’re looking for a military moving and storage company that cares and is dedicated to making your move just one less thing you have to worry about, call the experts at SMARTBOX (301-683-6111). Let us put our years of experience to work for you so you can focus on what really matters-contact us today. Remember to use the promo code BANMIL to receive your 15% discount!